29th Annual Christmas Concert For Ardee Band. 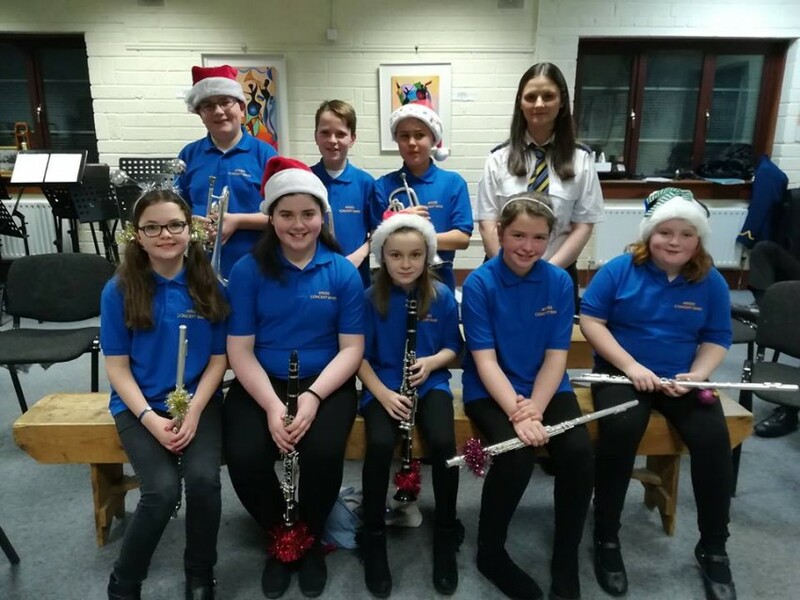 It’s that time of year again when Ardee Concert Band host their Annual Christmas Concert. For many locals this is the start of their Christmas celebrations. The concert this year is on Tuesday 14th of December and will have a slightly different flavour. The Band wants to celebrate the culmination of their 150th year. Throughout the night there will be some musical references to the past. This is not only to honour those musicians and committee members who kept it all going and formed the foundation for the wonderful band that is there today, but to celebrate their lives and dedication. There will be the usual Christmas favourites, which is the tradition. This year, all of the entertainment will be provided from within the ranks of the band. The concert will feature the Recorder Group, which will be conducted alternatively by tutors Sean O Brien and Gerry Farrell. Also featured is the Ardee Youth Band conducted by John Gaynor. There will be roughly 140 local musicians in total performing on the night. As usual, conductor Harry Kelly will award the Sean Mathews Memorial Trophy to one member of the Senior Band, last years winner was Samantha Connolly. This is usually given to the person whom Harry deems has improved musically and shows dedication to the band etc. The Band unfortunately had to postpone their 150th Anniversary Dinner Dance in Darver Castle on December 4th due to the bad weather. It is hoped to reorganise a date some time in January. Everyone who purchased tickets is requested to hold on to them until further notice. The band will perform in a concert in Clane on Sunday 12th of December at 3.30pm. The Ardee Parish Carol Service is on Sunday 19th at 7pm and hopefully you will see some members out playing carols on the town on the run up to Christmas. A very important tradition for the band is playing at Mass on Christmas Day, which will take place at the changed time of 12.30pm. 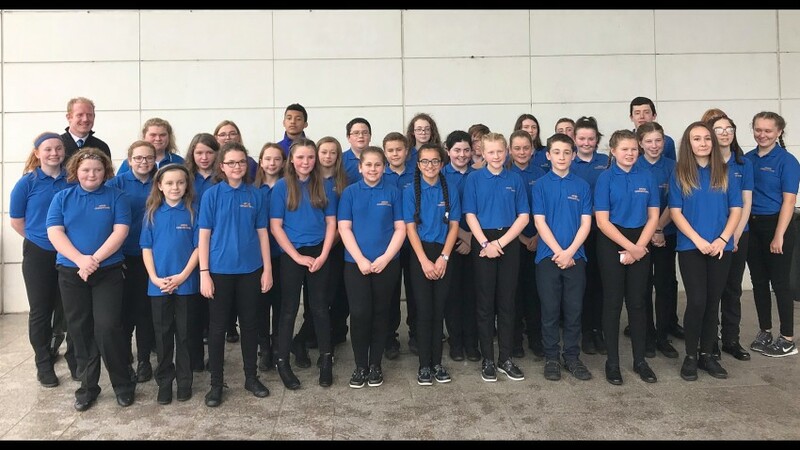 On Saturday last the 27th of November, five members of Ardee Concert Band braved the snow to travel to Ballynahinch near Belfast to collect the “Turner Cup”, which they won in the North of Ireland Band Championships on October 16th last. Band chairman Austin Nevin was accompanied by vice chair Jenny McKeever, Treasurer Peter McKeever, PRO Fiona Reilly and Kevin Reilly. The presentation was made by president Margaret Campbell during the annual Dinner Dance of the North Of Ireland Band Association. This is the second year in a row that the Ardee Concert Band has achieved this accolade, they also won in previous years. The band members were also presented with medals for the 53 members who performed in the competition. As in previous years, they band members were singled out with an extra special welcome for travelling such a distance. The Band have a very busy run into Christmas. On Saturday next, they have a special dinner dance to celebrate their 150th anniversary. This is the last call for tickets. Many members past and present will be attending along with supporters, relatives and friends, it promises to be a great night with a bit of nostalgia with a photographic trip down memory lane. Tickets, which are at a competitive price, are available from Secretary Dermot Murray 087.9917316. This is the culmination of a year of celebrations organised by the 150th Anniversary sub committee Jen McKeever, Dermot Murray, Niall Doherty and Fiona Reilly. Another date for the diaries is the band’s Annual Concert which takes place on Tuesday 14th December, as usual there will be music from all genres and plenty of tunes and festive fun. The compere for this year is band member Alan Kelly. The band members will provide all the entertainment this year. This concert is always very well supported as many Ardonians and locals see this as the beginning of their Christmas celebrations. The band are also performing in a concert in Clane, Co Kildare on Sunday 12th , the Ardee Carol Service on 19th in the local church, 12.30 Mass on Christmas Day and you may see and hear them on the streets and in Moore Hall Lodge on Christmas Eve. For some members the Christmas season has already started when they provided the entertainment for Santa’s arrival to turn on the lights on Friday last 26th . The musicians were Aisling Reilly, Jenny McKeever, Tony Flanagan and Samantha Connolly on clarinet, John Gaynor, Dermot Murray and Peter McKeever on trumpet. Vincent McArdle and Fiona Reilly on french horn. Adam Byrne and Sean O’Brien on saxophone, Kevin Reilly on euphonium and James Walsh on tuba. This 150th year in the long history of Ardee Concert Band is proving to be one of the busiest for the band. As the year is drawing to a close and we look forward to our annual Christmas concert, which this year is on Tuesday 14th December 2010, the band decided to host a Dinner Dance to celebrate the 150th anniversary of the foundation of the band. This event will be held on Saturday December 4th in Darver Castle. The band members hope supporters and family will join them to celebrate this momentous event. The dinner dance is open to past members who want a little trip down memory lane. The tickets are keenly priced at 25 euro. The cost has been kept to a minimum with the band subsidising the event. There will be a four-course meal and music by the Glen Miller Legacy. There are only 300 tickets on sale so first come first serve. Tickets for the Dinner Dance are available from any band member. Meanwhile its business as usual in the Bohemian Centre as this is the beginning of our year in the School of Music, the Bohemian has been a hive of activity. On September 15th an open night was held from which we enrolled 28 new members to learn recorder. This year’s recorder classes are being taught by band members Gerry Farrell and Sean O Brien. This is the first time the boys have taught our recorder groups, it is great to see the younger band member’s volunteering to pass on their skills. A night was held for last year’s recorder class to have a blow through on band instruments to help them decide which instruments they were best suited to. The outcome of this is that five started on trumpet with teacher Dermot Murray (band secretary), six started on saxophone with teacher Alan Cox, three started on clarinet with Tony Flanagan, one on Euphonium with Kevin Reilly, one on percussion with Paul O’Brien and two on French Horn with Vincent McArdle. The other lessons continue with the older children with teachers Susan Connolly (Flute), Laura Jones (Saxophone), Oisin Clarke (Trombone) and John Gaynor (Trumpet) and some of the others previously mentioned teaching higher grades. The band room is in use most nights and all day Saturday. “Our forbears would be very proud of us,” says Fiona Reilly PRO.